After the fire of 1919, St Edward's Church was rebuilt as a memorial to those who lay down their lives in the First World War. Those commemorated in the memorials are listed below each photograph. Click on the name for more information. 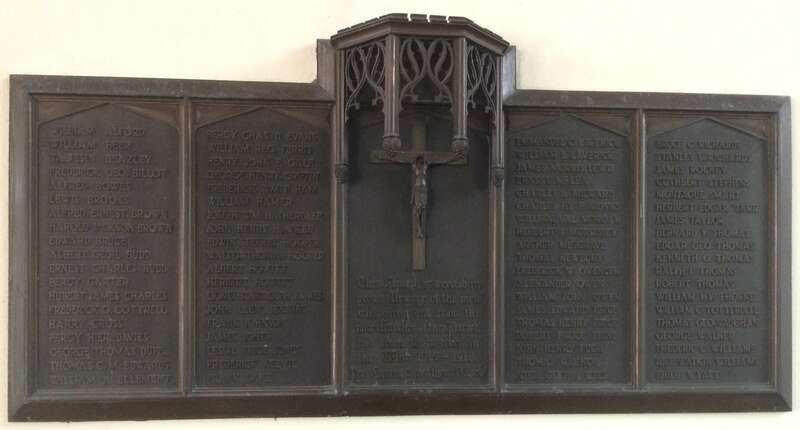 The inscription: "This church is erected in proud memory of the men who, going out from the four churches of this parish, laid down their lives in the war 1914-1918. Rest eternal grant them, O Lord.. 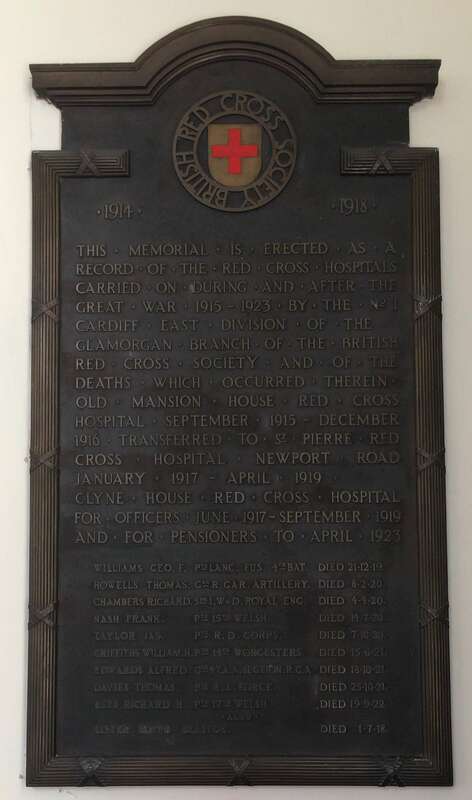 The memorial in honour of the 76 men from the Parish of Roath who lost their lives in the First World War was unveiled on Wednesday, May 7th, 1924, by Lieutenant-Colonel Sir Henry Webb, Bart., MP for Cardiff East. It was dedicated by Rev D.C. Jones M.A., Vicar of Roath. "